A physician accused of deliberately injuring two cyclists by slamming on his car’s brakes on a narrow Brentwood road was convicted Monday of mayhem, assault with a deadly weapon and other serious criminal charges. Dr. Christopher Thompson, 60, slumped forward and held his face in his hands after the verdicts were announced in a courtroom packed mostly with supporters and cyclists. Deputy Dist. Atty. Mary Stone, who prosecuted the case, asked for Thompson to be jailed immediately, calling him a flight risk and a safety threat to cyclists. Los Angeles County Superior Court Judge Scott T. Millington ordered that Thompson be taken into custody. 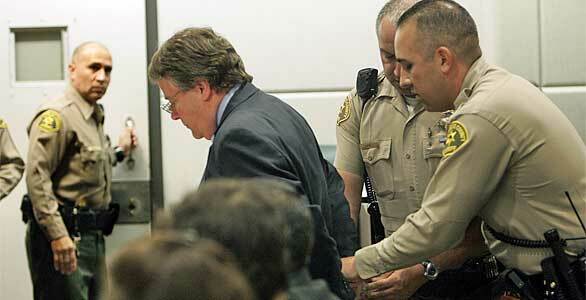 Thompson, wearing a dark blue suit, grimaced and shook his head as a bailiff cuffed his hands behind his back. The veteran emergency room doctor, who spent more than two decades working at Beverly Hospital in Montebello, was also convicted of battery with serious injury and reckless driving causing injury. He faces up to 10 years in prison when he is sentenced Dec. 3. The three-week trial in the Superior Court’s airport branch was watched closely by bicycle riders around the country, many of whom viewed the case as a test of the justice system’s commitment to protecting cyclists. The July 4, 2008, crash also highlighted simmering tensions between cyclists and motorists on Mandeville Canyon Road, the winding five-mile residential street where the crash took place. Prosecutors alleged that Thompson stopped his car after passing the two cyclists and shouting at them to ride single file. The cyclists testified that they began maneuvering to ride one after the other when they noticed Thompson’s car approaching fast behind them but that the driver passed dangerously close before abruptly stopping. Ron Peterson, a coach for USC’s and UCLA’s cycling team, was flung face-first into the rear windshield of the doctor’s red Infiniti, breaking his front teeth and nose and lacerating his face. Christian Stoehr, the other cyclist, hurtled to the sidewalk and suffered a separated shoulder. Thompson testified that he never meant to hurt the riders. He said he and other residents were upset at unsafe cycling along the road, which has become an increasingly popular route for bicycle riders in recent years. But they had struggled to identify problem cyclists. Thompson told jurors that the riders cursed at him and flipped him off when he yelled at them to ride single file. He stopped his car so that he could take a photo of the cyclists and believed he had left enough room for them. But prosecutors alleged Thompson had a history of run-ins with bike riders, including a similar episode four months before the 2008 incident, when two cyclists told police that the doctor tried to run them off the road and braked hard in front of them. Neither of the riders was injured. Outside court, the cyclists in the case said they were relieved at the outcome. “Our hope is that this brings to light how vulnerable cyclists are out there,” Peterson, 41, told reporters. His face was permanently scarred from the crash and he underwent reconstructive surgery on his nose, which he said remains numb. Stoehr, 30, said the crash left him unable to work for months and that he rarely rides his bike anymore. Nevertheless, Stoehr said he felt some sympathy for Thompson as he watched the physician being led away in handcuffs. “It’s one thing that I’m alive today because of mountain bikes,” reflects Concerned Off-Road Bicyclists Association’s (CORBA) Jeff Klinger. “I want everyone in Los Angeles to have the same chance as me. One of the greatest things about mountain biking is that it is so much fun and so healthy. America needs it bad. We are overtaken by obesity, diabetes and other poor health issues related to nonactivity. Mountain biking is one of the solutions. It’s stimulating, never gets boring. and is a very addictive cardiovascular exercise. You can’t stop doing it! CORBA’s goal is to further mountain bike recreation in and around the Los Angeles area. “What happens here is recognized worldwide, and CORBA isn’t one person.” continues Jeff. “It’s a team effort by a large group of extremely dedicated mountain bikers. Advocacy is 24/7. It takes a lot of time and patience. To reclassify a hiking trail as a multi-use trail is a lengthy process. First, the land managers have to do an environmental study. We have to check if endangered plants and animals inhabit the trail area. It requires working with local, state and national land agencies. To make it happen, CORBA and loyal members have to speak publicly, attend numerous meetings, and do a lot of letter writing. “I have a Masters in Environmental Studies,” adds Jeff. “It helps bring CORBA more success. 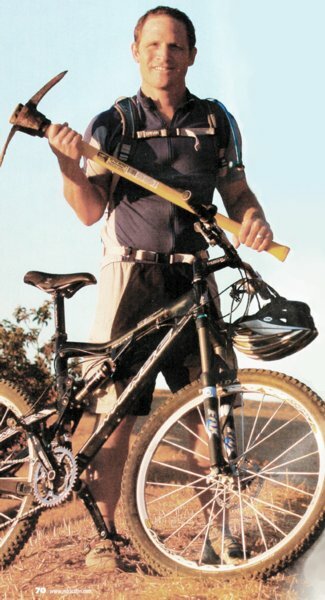 When mountain biking hit in the late 1980’s. 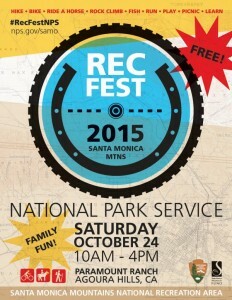 the Santa Monica Conservancy shut the trails down. Since then, we’ve proved what a legitimate, respectful and conscientious group of people mountain bikers are. One of our greatest successes is opening up the Will Rogers part of the Backbone Trail. That is primarily what CORBA does; we rally for mountain bikers to keep the trails open. From the Santa Monica Mountains we have branched out to the San Gabriels, Palos Verdes, Verdugos, Santa Susannas and Ventura County. We also hold organized rides, a youth adventure program, monthly trail workdays, and monthly skill classes. The Mt. Wilson Trail Race is scheduled for Saturday, May 24th at 7:30am sharp. Though it is the 42nd running of the race, it is the 100 year anniversary of the first race, run by nine runners back in 1908. The men ran seven miles from Sierra Madre up to Mt. Wilson, rested half an hour, then came back. From 1912 to 1929, there was no race, some say because the runners’ interest was waning due to the popularity of the automobile. Half-way between Sierra Madre and Mt. Wilson was an orchard of apples, cherries, plums and chestnuts that soon became a public resort known as “Orchard Camp.” In 1930, the trail race was started again to draw attention to Orchard Camp, and for the first time, the race was expanded to include women and young girls. The race was held sporadically until the late 1940’s when it was abandoned completely. It was revived in the autumn of 1965, and over the years evolved to its present format. In the spring of 1987, it was held in conjunction with Search and Rescue Days. It has been run annually ever since, but this year, the Centennial of the first race, it nearly wasn’t. 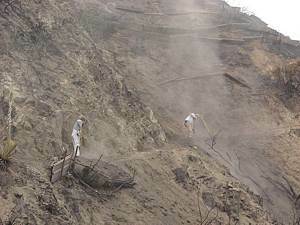 The Santa Anita Fire closed down the trail and did some major damage to the hillside on which the trail sits. According to Pete Siberell, chairman of the Mt. Wilson Trail Race Committee, the work literally started while there were still fires on the mountain on Monday, April 28. A meeting of the Committee was held in Kersting Court, and the members resolved to get the trail ready in time to have the race go on as planned. “I received 15-20 calls and emails on that day from people who wanted to help,” said Siberell. “The first step was assessing the damage, which we did in short order right after the trail was closed. The majority of damage occurred in a stretch less than a mile-long, between the fire road just above the trailhead and the switchbacks just short of First Water.” While there is significant damage on the ridge to the east of the trail, the ridge on which the trail runs is relatively unscathed north of First Water up to Orchard Camp, 3.3 miles up from the foot of the Trail. 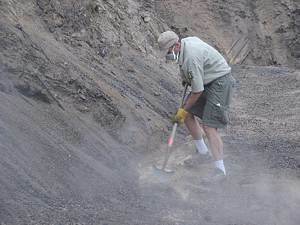 Some volunteers worked on the trail during the day while it was still closed to the public, but many came after completing their work day at their jobs, arriving sometimes at 6pm or later and working for an hour and a half or two until the sun went down. A CORBA member who lives in Sierra Madre put together a volunteer team for last Saturday morning (May 10). With help and donations, he organized about 20 workers. The Department of Public Works lent tools, while the Only Place in Town provided sandwiches, Starbucks sent beverages, and Leanora Moss and Webb-Martin Realtors provided cash for refreshments. Defending women’s champion (and pregnant) Sharon Pevsner delivered the sandwiches to the hungry workers. The workers not only put final touches on the trail, but even worked above First Water on the part of the trail that was not fire-damaged. Charlie Bell (who is the acknowledged expert on the trail, based on his years of experience helping to maintain it), the world famous Sierra Madre Search and Rescue Team, and Pete Siberell with the Mt. Wilson Trail Race Committee had the final say as to when the Trail could be re-opened to the public. Charlie assessed the trail on Friday, May 9 and thought the trail should be opened as soon as possible, for two reasons: first, so runners could familiarize themselves with the new section of the trail and second, so that runners and hikers could tramp down the trail as much as possible before the race, as it was soft in many sections. Jeremy Heiner, a Search and Rescue volunteer who is also on the MWTR committee, declared the trail safe with some recommended precautions. And Pete Siberell ran up and down the trail numerous times to make sure the trail was race ready. Upon hearing those recommendations, the city opened the trail the afternoon of May 9th and agreed with Siberell the race would be run as scheduled, absent any mudslides occurring before then! That doesn’t mean the work is finished. Crews will continue going up to clear slough that will have fallen on the trail between now and race day. Heiner and Siberell will be going up the trail before race day to flag any spots still considered dangerous for runners, and Search and Rescue plans to add another eleven volunteers to the twenty he already had scheduled along the damaged trail on race day so they can be ready to respond in case of a fall. And finally, Siberell will be sending out emails to runners to caution them about race conditions. He will also provide specific pre-race instructions before the race begins on the morning of the race. The Committee stopped accepting applications weeks ago, when the maximum allotment of three hundred runners was met. Runners who want to check in early can come to the Pasta Dinner event in Kersting Court on Friday night from 6P to 8PM. Runners can pick up their race number and t-shirt early and have a great pasta dinner from Cafe 322. Proceeds from the race will go to SM Search & Rescue. As a bonus, John Robinson will be providing a history of the Mt. Wilson Trail at 7:00P. Spectators are encouraged to come out Saturday morning, as there will be plenty going on to entertain them while they wait for the competitors, friends and family to make it back across the finish line. Kersting Court will be filled with booths from Elite Fitness Boot Camp, New Balance, Patagonia, Jamba Juice, Kaiser, the Sierra Madre Historical Society, and Train fitness center. Local singer/songwriter Lisa Turner will be entertaining the crowds with her “Celtic-tinged acoustic power folk rock.” And for the adults this year, the Sierra Madre Rotary is sponsoring a beer garden where folks can find a little post race refreshment. Proceeds from the beer garden will be donated to the City’s Fire Fund. There will be a Children’s Art Show co-sponsored by the Sierra Madre Community Arts Commission. And at 8am, half an hour after the Trail Race start, the Third Annual Kid’s Fun Run will take place for children three and up. The Fun Run, sponsored by CATZ (MWTR Committee’s Jim Liston is President) starts at the same starting line as the grown-ups’ race, and the kids run up Baldwin Ave. and back down to cross the same finish line as the adults. Siberell is planning to put a sign up on the trailhead next week. It is on behalf of the Mount Wilson Trail Race Committee, thanking the trail workers for their wonderful efforts. The community is encouraged to come out on Race Day and show their support, as well, for both the runners of the grueling race, and the volunteers who helped ensure that this Centennial edition of the race is run. Are you ready to #OptOutside on Black Friday? Last year, CORBA supporter REI chose to break the Black Friday shopping frenzy trend, and remained closed the day after Thanksgiving. Instead, they encouraged people to #OptOutside for some quality recreation. We applaud their efforts and want to encourage everyone to spend Friday, November 25th riding a bike, hiking a trail, playing in the snow, or just communing with nature. Black Friday has become synonymous with crowds, checkout lines, and camping outside retail stores on the sidewalk. That’s not the kind of camping we like to do. It’s also become synonymous with deals and sales over the last two decades, but these days so-called “black Friday sales” often last a week or more. While there are certainly some deals to be had, is it really worth the hassle? Studies have shown that many black friday “sale” items can be purchased at similar prices at other times of the year. Black Friday itself isn’t even the busiest shopping day of the year. 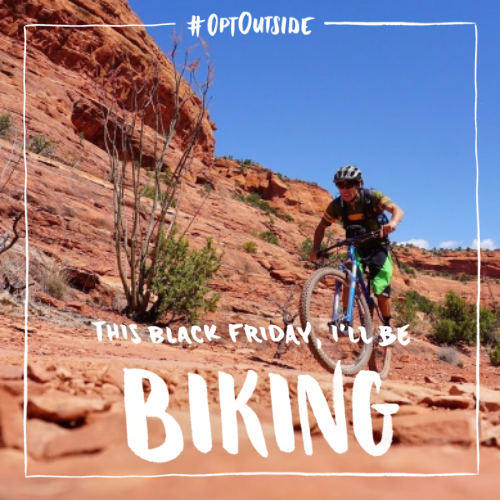 So won’t you join us, and #OptOutside for Black Friday? 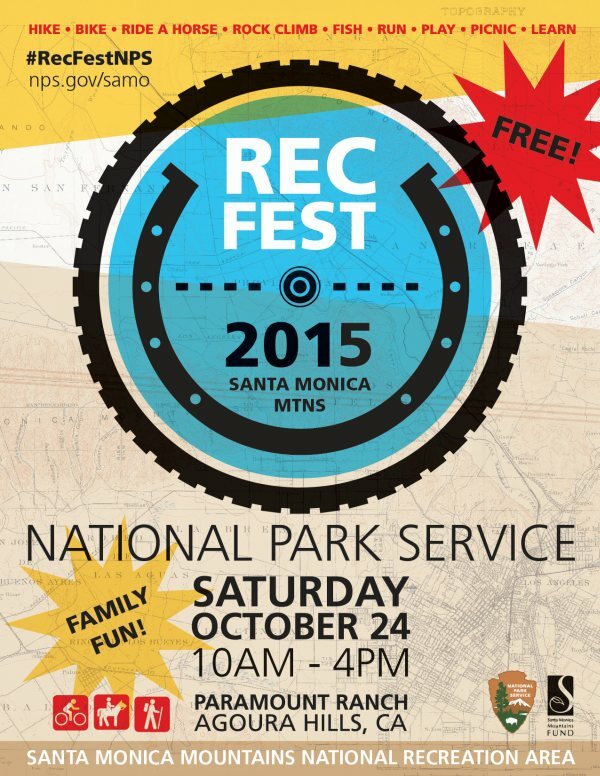 This Saturday, October 24, CORBA will be at the Santa Monica Mountains Rec Fest, in partnership with the National Park Service. The CORBA Youth Adventures program with the MBU will be there giving kids an opportunity to ride the trails of Paramount Ranch. If you’re headed that way, stop by and say Hi! There’s lots of ways to learn about recreational opportunities in the National Recreation Area and in the outdoors in general, and it’s geared to kids and families who don’t usually get these opportunities. It’s a great program and CORBA is happy to help get more kids into the outdoors! Trek Bicycle Corp. will recall nearly 1 million bikes in the United States and Canada to correct a brake-safety issue following reports of three injuries, including one that left a rider paralyzed, the U.S. Consumer Product Safety Commission said Wednesday. The recall covers all models of Trek bicycles from model years 2000 through 2015 that have front disc brakes and a black or silver quick-release lever on the front wheel hub that opens far enough to contact the disc brake, the agency said. There is a risk on the affected bikes that the lever could become caught in the front disc-brake assembly, causing the front wheel to separate or stop suddenly, the commission said. The bikes’ owners are urged to “stop using the bicycles immediately and contact an authorized Trek retailer for free installation of a new quick-release on the front wheel,” the commission said. The recall affects about 900,000 bikes in the United States and 98,000 in Canada that sold for between $480 and $1,650. Trek reported three incidents of injured riders related to the problem, including one that resulted in quadriplegia, the commission said. The others involved facial and wrist injuries. Trek is based in Waterloo, Wis., and the bicycles involved in the recall were made in Taiwan and China, the agency said. The commission said customers could contact Trek at 800-373-4594 Monday through Friday or via the company’s website http://www.trekbikes.com/worldwide/. 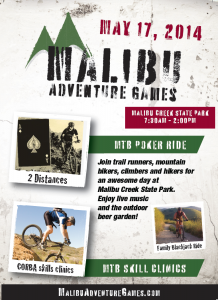 The Malibu Adventure Games return to Malibu Creek State Park May 17 with added mountain biking activities. Along with a poker ride with two different distances, there will also be a family blackjack ride where participants can win prizes by beating the dealer at various stations. CORBA’s Mark Langton will also be providing a free skills clinic prior to the poker rides. Also at the event will be activities for the whole family including a climbing wall, nature walks, kids XTERRA 1-mile fun run, yoga classes, and a fitness expo. Also taking place during the event are the XTERRA 22K and 6K trail runs. Proceeds from the event go to the Malibu Creek Docents to support Malibu Creek State Park. For more information go to malibuadventuregames.com. 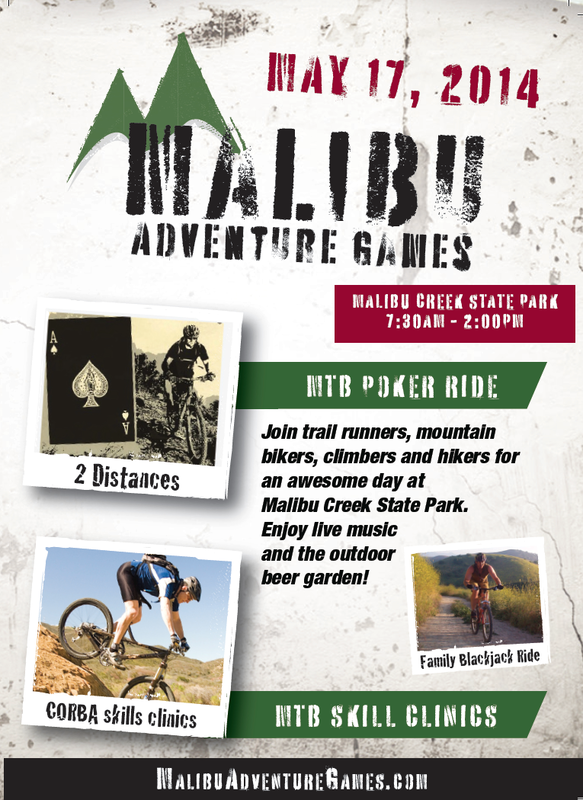 The centerpiece of the Malibu Adventure Games at Malibu Creek State Park is the XTERRA Malibu Creek Trail Run, but it will also feature mountain bike poker rides, and CORBA will be providing a skills clinic. There will also be a geocache scramble, climbing wall contests, and a vendor expo. For more information go to malibuadventuregames.com.